makeup products Archives - Do You Speak Gossip?Do You Speak Gossip? Last time, I talked to you about the eyeshadow & bronzing powder palette I got from the collaboration of Jennifer Lopez with Inglot, but I didn’t have the chance to talk to you about this little fellow here. Let me introduce you to this pigment from the same collection, of JLo x Inglot, in the shade Ethereal. It’s simply amazing! I’ve used it a few times, and I absolutely love it. You can either use it with a dry or a wet brush, for a more intense result, and the color is really amazing. So so pretty! And with this quantity, it’s gonna last me a long long time. Have you tried anything from the JLo x Inglot collection? Today, I’m reviewing NARS’ Dragon Girl Velvet Matte Lip Pencil and I can’t believe it took me that long to do it. 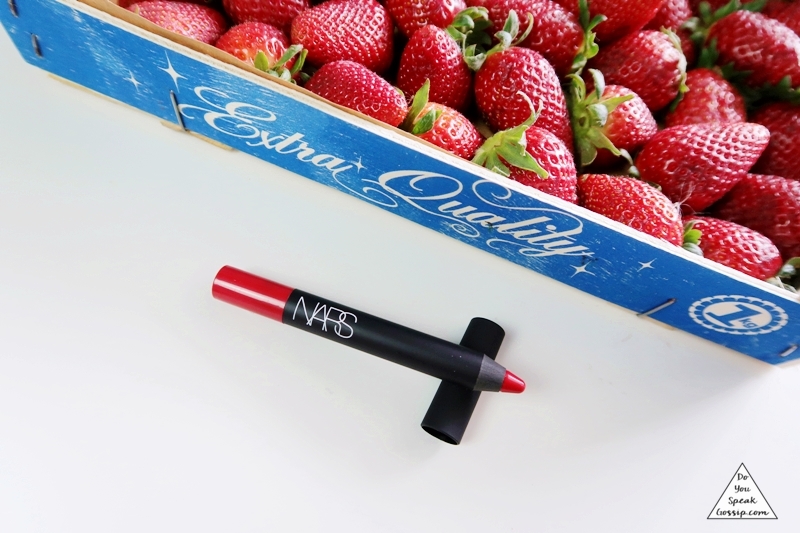 It’s a perfect red color, that comes in the form of a lip pencil. It’s a very vibrant, cherry-red, with cool undertones, which I love. It’s super easy to use, and gives you precision, since it’s a pencil rather than a classic lipstick, but it’s creamy and quite opaque. It’s not drying, but it’s not moisturizing either. It lasts a long time on your lips, without having to re-apply it’s perfect for summer or winter, and it’s almost matte without too much of a transfer when drinking/eating. I really like its color, so if you don’t mind the hefty price tag, go for it! 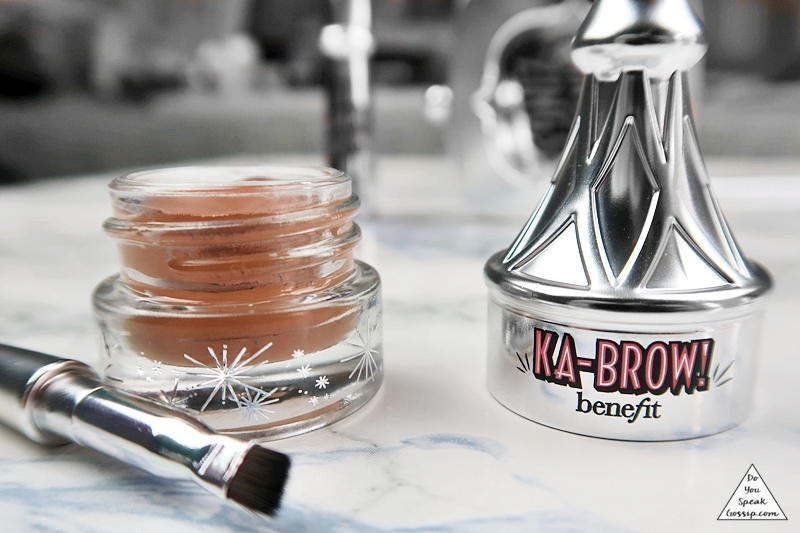 Let me talk to you a little about Benefit Cosmetics’ Ka-Brow! In case you’re not familiar with it, it’s a cream-gel colored product, that comes in 6 shades, and as its name suggests, it’s for your brows. It’s a pomade that comes in this beautiful and very practical packaging, that includes a hard-angled brush to help shape and fill your eyebrows in the best way possible. It’s super easy to use, even for an amateur like me, and it gives a very nice effect, that can be build from natural-looking to more dramatic, depending on your personal taste and needs. Mine is shade 3-medium, which is a bit on the lighter side for me, but just barely, so I like it a lot. I probably could have gone with shade 4, so I may check that one out in the future. It’s very long-lasting, so you can wear it from day to night without having to re-apply it. I would definitely recommend you try it! 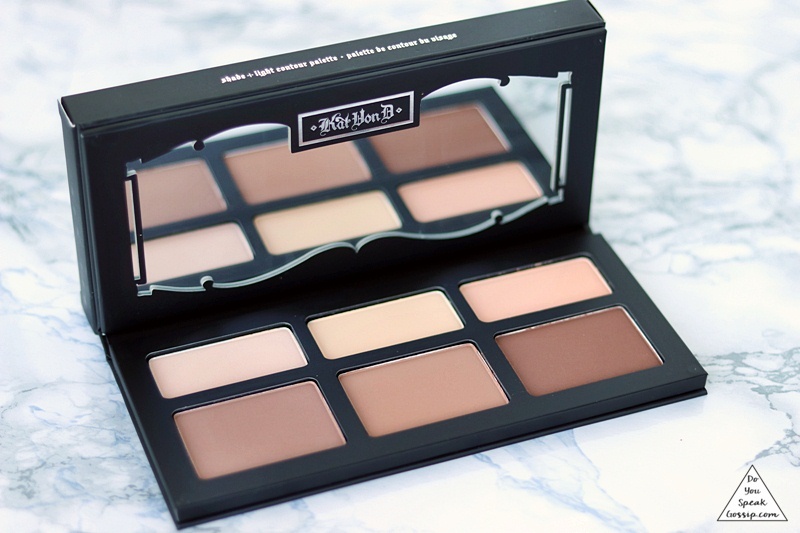 I’ve been using the Kat von D Shade + Light contour palette for a couple of months now, and I honestly love it. I mostly use 3 out of 6 of its powders, the first light one on the left, and the left & middle ones for my contouring. I love the middle one because it’s a bit warmer than the left one, but they’re both amazing colors. I haven’t tried the other 3 yet, because I don’t think they work well for my skin color, but I do love those I’ve already used. 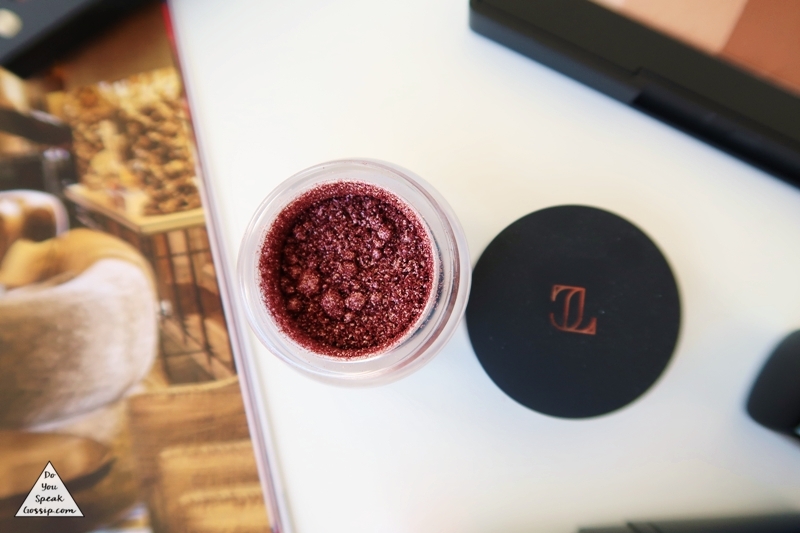 I love how thinly cut the powders are, very light on the face, and quite pigmented, so you only need a light touch of the powder to get enough product. They blend out very easily, but due to how powdery the products are, there’s always a lot of fall-out, which I found it’s the only disadvantage of this palette. It has a really nice big mirror on the top, which is perfect for traveling with it, or if you do your makeup on the go. And it has a magnetic close, so it’s super safe to take it with you in your bag. I highly recommend you try this palette, if you love contouring and highlighting your face. This baby came in the mail about 2 months ago, and from the moment I laid my hands on it I was in love. Honestly, it’s one of the best mascaras I’ve ever tried. It does wonders for my lashes which are not too short, but are quite flat. 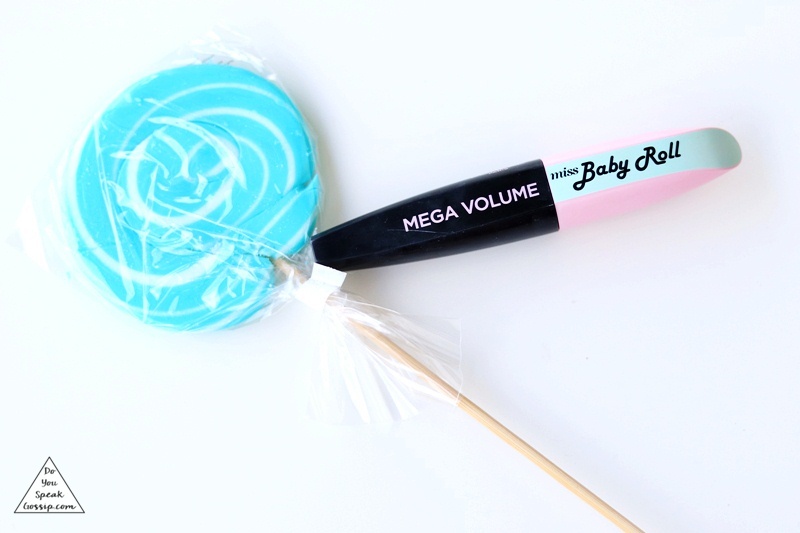 It has a really nice wand (which you can see in the photo below), which does an amazing job of separating my lashes while giving them lots of length and a bit of a volume. I’m not too picky when it comes to mascaras, but I rarely use one I really like, and this is one I love and highly recommend. Being a L’oreal mascara means that it’s quite affordable too. You can find it in other colors as well, but black is all I need.